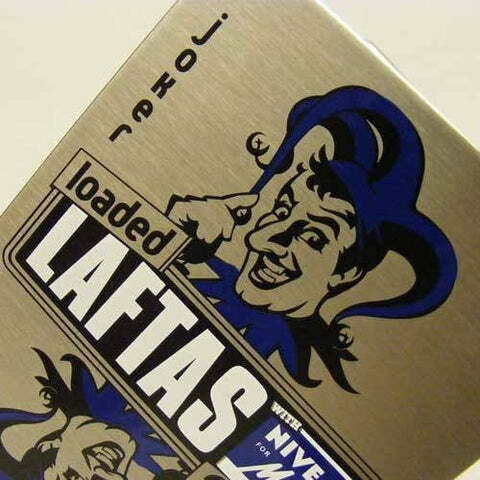 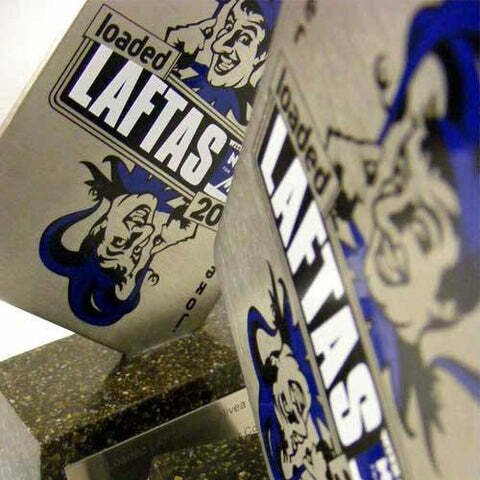 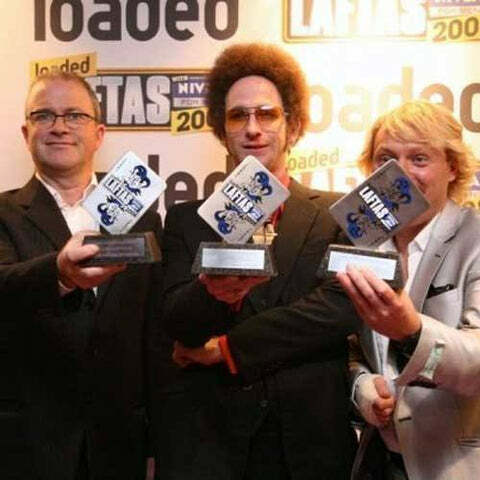 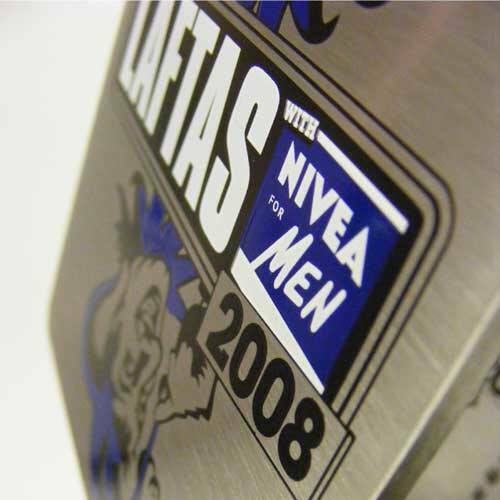 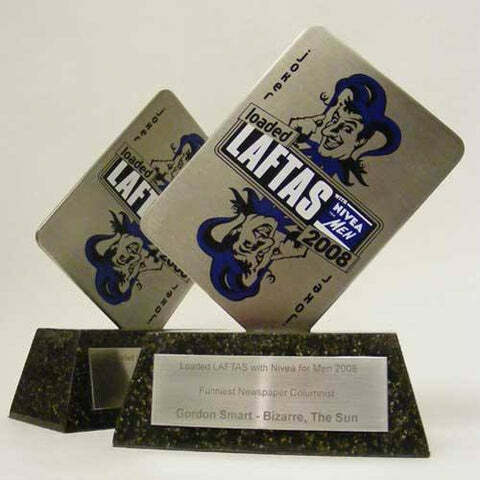 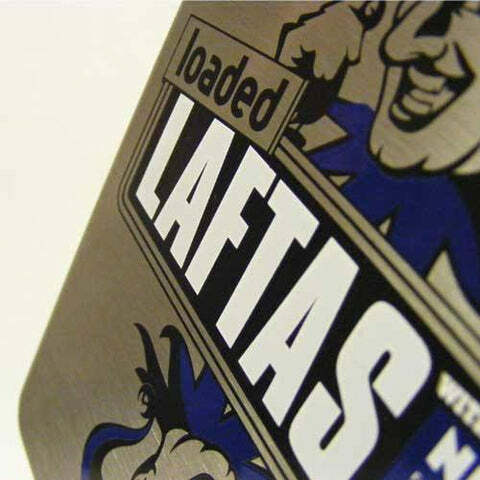 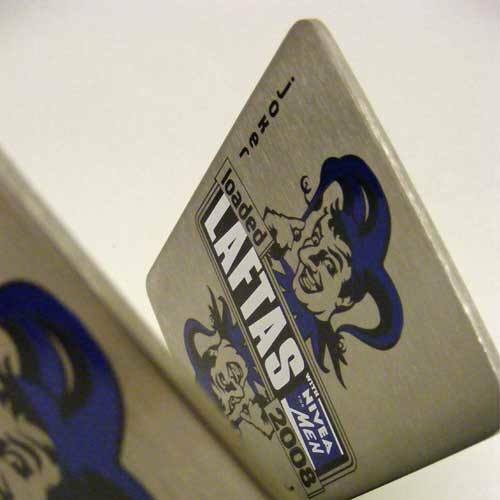 Loaded magazine LAFTA comedy award consisting of a satin finish stainless steel joker card with an etched image. 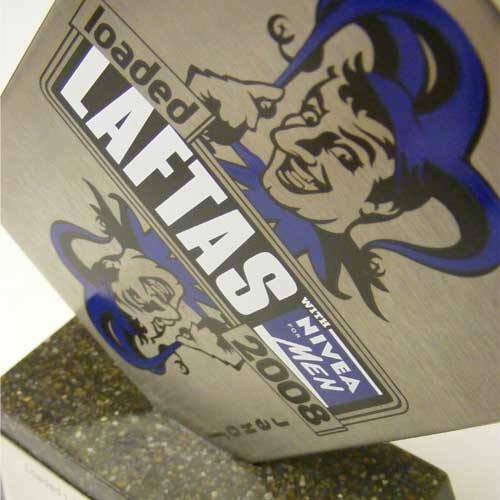 The image is infilled with multiple colours. 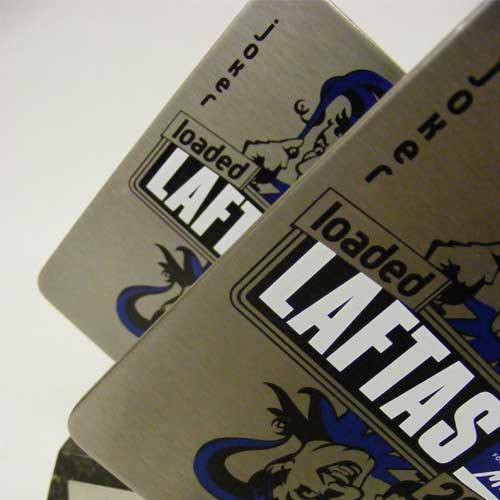 The stainless steel card is mounted onto a black timber base.